RAMM's stylish and elegant blanket bar features a horseshoe design to give your tack room or stalls an extra added touch of class. 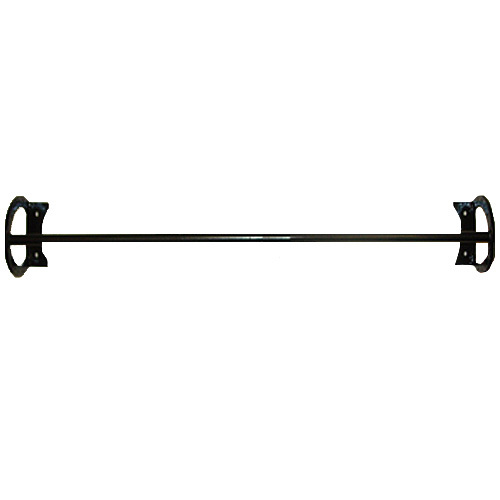 These blanket bars hold heavy rugs, coolers, sheets, saddle pads and more! RAMM's horseshoe blanket bar offers long-lasting, maintenance-free use! Each bar is made here on-site in Swanton, OH from rust-resistant galvanized steel with a heavy-duty black powder coating. The powder coat paint gives the blanket bar a professional, smooth finish. 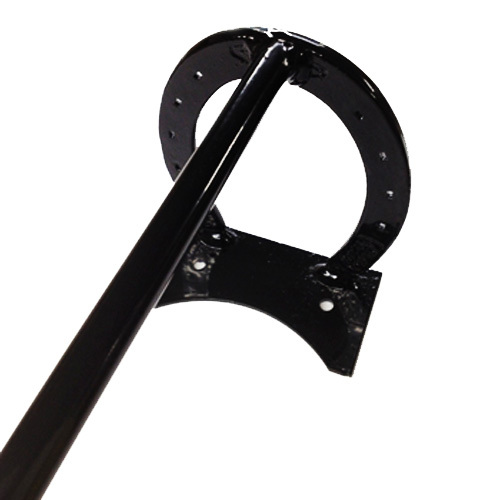 Each bar is constructed of solid steel (the rod is not hollow) adding to the sturdiness and lifespan. 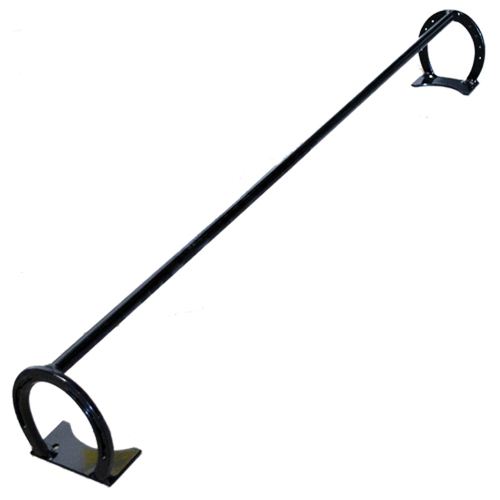 This blanket bar is 41" wide to accommodate most sizes of turnout blankets, sheets, and other equine coverings. *This is one of those items once you have you can’t live without and you wish you would have known about sooner. 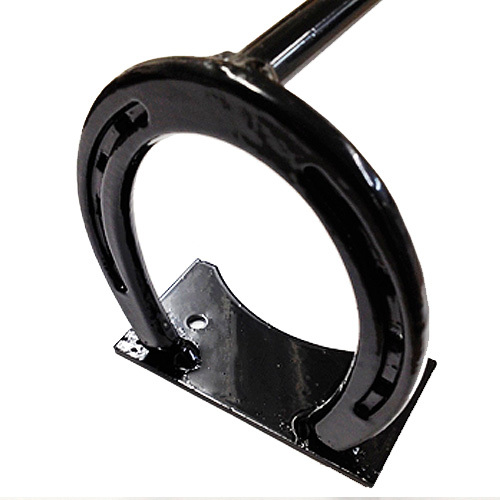 Installation: Attaches to a stall front or in a tack room. 4 screws are needed for installation, but are sold separately. Shipping: This item ships via UPS. *Most economical shipping is to order in pairs; two can fit per box. *Note: Stall screws sold separately.